Here we continue with Disc. 8 of the “Idea of a University” in which Newman explains how human knowledge exerts a salutary effect on morality, and in which he will distinguish between the Religion of Philosophy and Supernatural Religion. 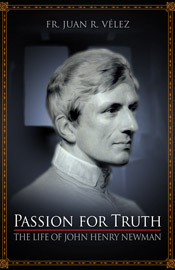 Newman acknowledges that the knowledge by itself does not “mend the heart” or secure it from the very evils, which it sometimes repels, but sometimes after a sin has been committed it produces a keen remorse, which can be sufficient to cure a particular moral disorder or prevent its future repetition. Newman notes that in an age of advanced civilization, the moral disorders which Reason and Revelation denounce are combated with libraries, science lectures, museums and gardens. With these instruments the intellectual culture exerts a positive influence on our moral nature fostering such virtues as “veracity, probity, equity, fairness, gentleness, benevolence, and amiableness; so much so, that a character more noble to look at, more beautiful, more winning, in the various relations of life and in personal duties, is hardly conceivable.” In such a civilization the ideal men shine by the exercise of charity, understood as generosity and harmony with others. This charity has a Christian origin, yet these man lack the religious principle of faith.